Car accidents remain a very serious problem in the Florida Suncoast and throughout the wider United States. Indeed, the CDC reports that motor vehicle crashes are the leading cause of accident-related emergency room trips. 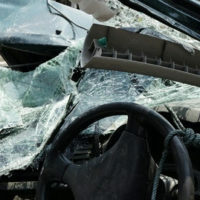 Each year, more than 33,000 Americans are killed in crashes. Here, our Tampa auto accident lawyers review the latest crash data released by the state of Florida. Alarmingly, these figures represent a significant increase in both accidents and injuries when compared to the last several years. More specifically, car accident injuries were up by nearly eight percent when compared to 2014. The numbers for total accident fatalities were even more alarming; car accident deaths were up by a startling 17.84 percent. To put these figures into perspective: More people were injured in Florida car accidents in 2015 than in any year since 1996. A long-term trend of reduced accident risk appears to have turned around. While part of the problem is explained by an increase in the total number vehicle miles driven in the state, that does not explain the entirety of the issue. Other factors, such as increased distracted driving, due to the prevalence of cell phones, also likely contribute. Intoxicated driving, including both drunk driving and drugged driving, is responsible for a highly disproportionate share of serious Florida highway accidents. In 2015, there were more than 16,000 DUI crashes in Florida. These accidents led to nearly 11,000 injuries and more than 500 fatalities. While alcohol and drugs are a factor in less than four percent of all auto accidents, these substances are a factor in more than 16 percent of fatal crashes. The reason for this is clear: Drunk driving accidents often occur at high speeds, and they are more likely to involve exceptionally dangerous behavior. If you were injured by a drunk driver, you need to contact a qualified attorney immediately. Under Florida law, you may be entitled to recover punitive damages. These damages are meant to punish the extremely reckless behavior of the bad-acting party, and, unlike standard compensatory damages, they are not tied directly to your losses. At Pawlowski//Mastrilli Law Group, we fight hard for the rights and interests of injured victims. Our team has extensive experience handling auto accident claims, including DUI accident cases. If you or a loved one was severely hurt in a crash, please do not settle your case for a single penny less than you deserve. We will help you recover full and fair compensation. From our office in Tampa, we serve victims throughout the region, including in Pasco County and Pinellas County.